My Paper Trove: Whisking You a Sweet...Holiday! Hi! 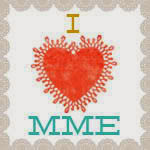 I know I haven't been around on this little blog of mine, but I'm still here! I've been pretty busy... I sent my daughter off to college, changed jobs after 21+ years and we've been busy cleaning out and remodeling the basement for my son to move into so he can save money for a house! But enough about that. The truth is I have missed my craft room terribly and it has been the room where we just put everything temporarily...needless to say, it's a mess! I carved out a little path to get to my desk and there I sat last night, crafting away while hubs was at poker! I loved it! 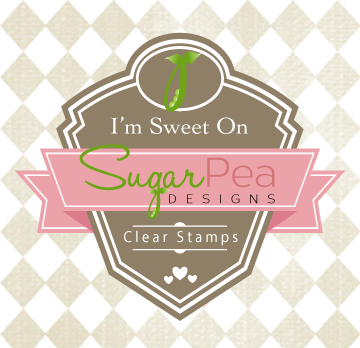 I just got my new Sugar Pea stamps too, so it was the perfect combination. How cute is this little chef in the Whisky Business set!?! I had to have it the minute I saw it. It's just so sweet! I decided to play along with the Sugar Pea Designs sketch challenge too! These are not your usual holiday colors, but that's what I love about them! A little coloring and I was back in my groove! I did a little paper-piecing, added a die cut snowflake for the holiday and a few gems because we all love a little bling! I think it's very "me!" Not too much, not too little...just right! Thanks for stopping by for a visit. I've missed this so much! I even made a second card for another challenge, but I'll post that one later! Have a great day!